Aldersgate Press published a book by Professor of Marketing David Hagenbuch. The book, titled “Honorable Influence: A Christian’s Guide to Faithful Marketing,” shines the light of Christian faith on the field, revealing how marketers can avoid negative impact, and instead influence consumers to their benefit. Messiah College alumnus Peter Greer wrote the foreword. The book was the #1 New Release in Religious Ethics on Amazon.com for several days after its launch. If you’d like to learn more, visit www.HonorableInfluence.com. The deadline to order early arrival student meal cards is Tuesday, Aug. 9. Please place your order with the Falcon Exchange at falconexchange@messiah.edu by this date. Your email should include the department name, number of cards requested, org/acct # to be charged and the active start and stop dates on the cards. Furniture Items for Sale. 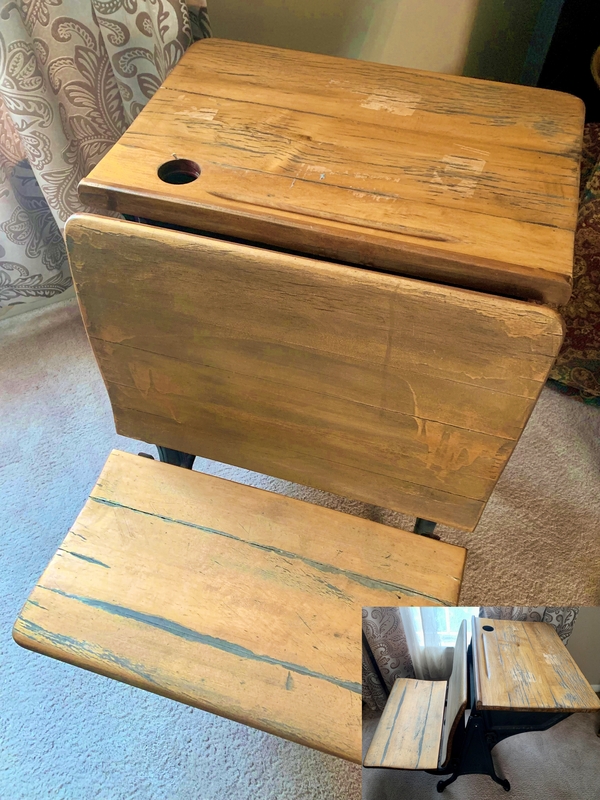 Furniture items in great condition for sale: Solid wood coffee table with inside storage (asking $50) and desk w/ matching chair (asking $40) Contact Kerry Hoke at ext. 7345 or hoke@messiah.edu. Glass top computer desk with three shelves and keyboard tray–$35; Two vinyl adjustable desk chairs, five-wheeled base–$40 each or two for $70; Text Jonathan at 717-691-8341 or email at jlauer@messiah.edu. NordicTrack AudioStrider 990. NordicTrack AudioStrider 990 eliptical machine. Like new but asking half the price. $500 dmagee@messiah.edu for inquiries. Used Bed Frame Give Away. We have more than 100 used bed frames to give away. The frames take the long twin sized mattresses that measure 80 inches long by 36 inches wide by 8 inches high. The bed frames are located in the receiving area under the South Complex – South Side Café Deck. Frames can be picked up between 7:30 a.m. to 7:30 p.m. Bring your own help to move the frames, because there will be no staff monitoring the area. Be aware that the bed frames are in pieces. You will need two bed ends and the long frame with springs to make one bed. Also be careful as you walk among the frames to look for trip hazards and possible sharp edges on the metal frames. The frames will be available until Aug. 12. If you have questions about the bed frames, contact Scott Zeigler at ext. 2940. Temporary home needed. Seeking temporary housing for family of four (two adults, two boys: ages 6 and 10) due to relocation to the area for a new position at Messiah. Dates needed 8/15-9/15. Basic place to sleep and prepare a simple meal would be fine. Contact Michelle Sanford at 207-590-6239 or michelle@acornrain.com. The Department of Dining Services at Messiah College currently has an opening for the temporary, part-time position of dining services employee. For additional information and to apply, please see: http://jobs.messiah.edu/postings/4443. Job-related questions may be directed to Mark Wirtz, director of Dining Services, at mwirtz@messiah.edu. Dining Services at Messiah College currently has an opening for the position of temporary administrative assistant catering. For additional information and to apply, please see: http://jobs.messiah.edu/postings/9138. Job-related questions may be directed to Mark Wirtz, director of Dining Services, at mwirtz@messiah.edu. Department of Sociology, Anthropology & Criminal Justice at Messiah College currently has an opening for the position of administrative assistant II – Teaching and Learning/Ernest L. Boyer Center/ Sociology, Anthropology, and Criminal Justice. For additional information and to apply, please see: http://jobs.messiah.edu/postings/9158. Job-related questions may be directed to Val Drobel, Administrative Assistant to the Dean of the School of Business, School of Bus Edu & Social Sciences, at vdrobel@messiah.edu.